If your kart has non self adjusting brakes than this is a tool you will want. Bleeding your brakes is an essential maintenance task in order to have optimal brake performance. As brake fluid heats and cools it degrades as well as sitting stagnant. Brake seals inside the master cylinder also wear down and have to be replaced. This tool works great for brake systems that are not self adjusting. A Non Self Adjusting brake system will have return springs on the screws that hold the brake pad to the caliper. 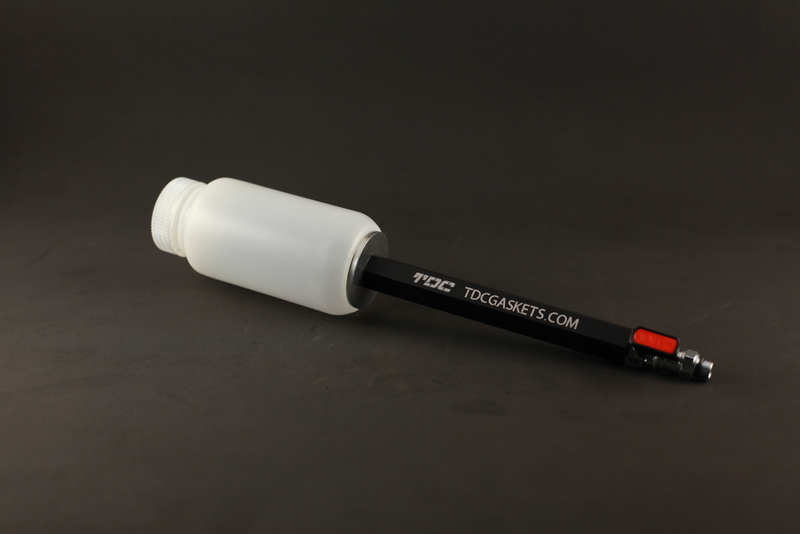 This Tool comes standard with a 10mm bleeder screw which is most commonly used. You will need to find out what your thread is on your master cylinder bleeder screw in order to get the correct adapter. Adapters are sold separately.